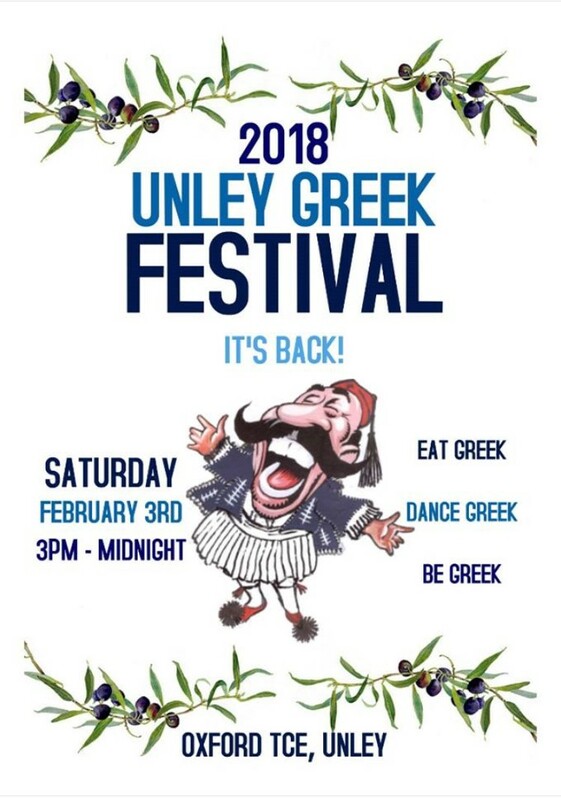 Join in on the 2018 Unley Greek Festival held on Oxford Terrace, Saturday 3rd February. Click here for Facebook page and event details. When in Unley, eat, drink and dance like a Greek! The traditional and award-winning Unley Greek Festival is back in 2018! Come and join us under the plane trees of Oxford Terrace for an unforgettable evening of Greek food, drink and dance. Festival program to be posted soon.